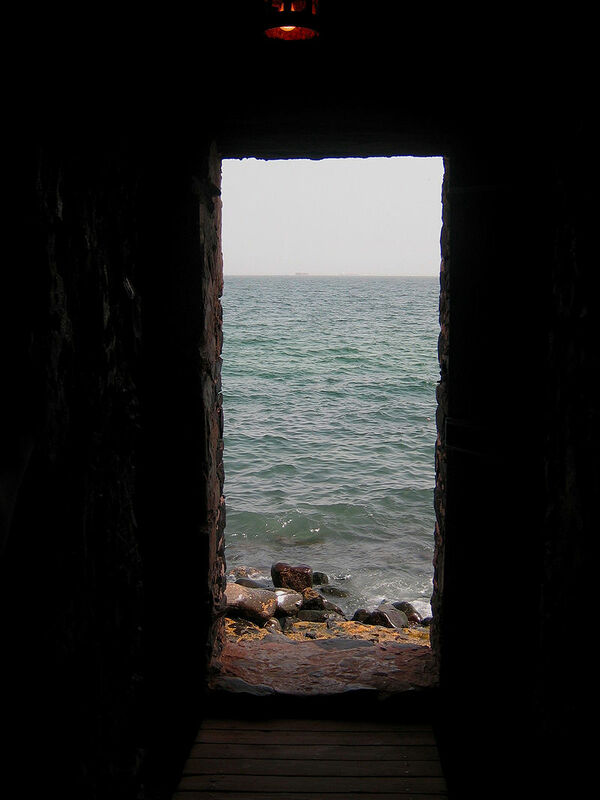 Gorée Island is home of "The Door of No Return." This land mass played an important part in the early days of African American history. 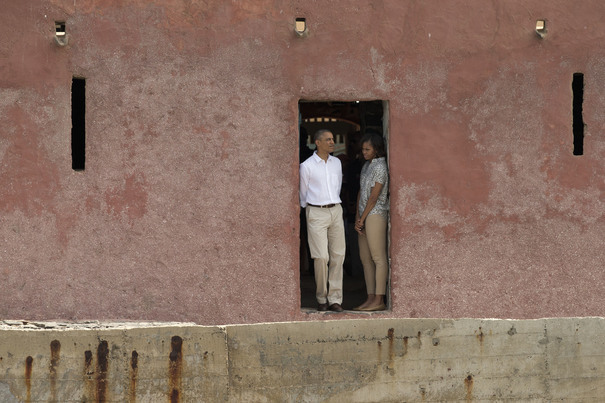 Gorée Island is a small 45-acre island located off the coast of Senegal. Gorée Island was developed as a center of the expanding European slave trade. The House of Slaves (Maison des Esclaves) and its Door of No Return is a museum and memorial to the Atlantic slave trade on Gorée Island, 3 km off the coast of the city of Dakar, Senegal. Its museum, which was opened in 1962 and curated until Boubacar Joseph Ndiaye's death in 2009, is said to memorialise the final exit point of the slaves from Africa. 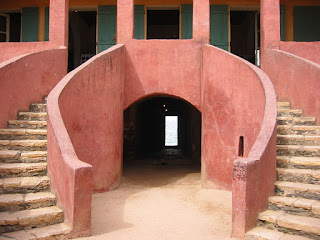 Goree Island was the embarkation point from which slaves were brought to the Americas. of Gorée, off the city of Dakar. An estimated 20 million Africans passed through the Island between the mid-1500s and the mid-1800s. During the African slave trade, Gorée Island was a slave-holding warehouse, an absolute center for the trade in African men, women and children. Millions of West Africans were taken against their will. These Africans were brought to Gorée Island, sold into slavery, and held in the holding warehouse on the island until they were shipped across the Atlantic Ocean. They were sold in South America, the Caribbean, and North America to create a new world. The living conditions of the slaves were atrocious on Gorée Island. Above their heads, in the dealer's apartments, balls and festivities were going on. But even more poignant and heart wrenching than the cells and the chains was the small "door of no return" through which every man, woman and child walked to the slave boat, catching a last glimpse of their homeland.